Spanish goat's milk cheese bathed in grape-must. 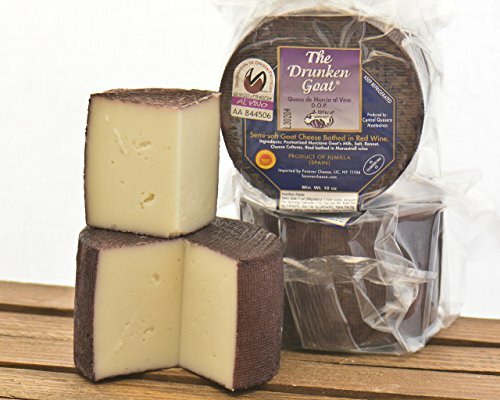 This was the first drunken style cheese imported to the U.S. With its semi soft texture, clean goat flavor and hint of red wine, this cheese has been a party favorite for years. If you have any questions about this product by Mitica, contact us by completing and submitting the form below. If you are looking for a specif part number, please include it with your message.